Welcome to the Gauguin Gallery – your number one resource for information about the life and work of Paul Gauguin. 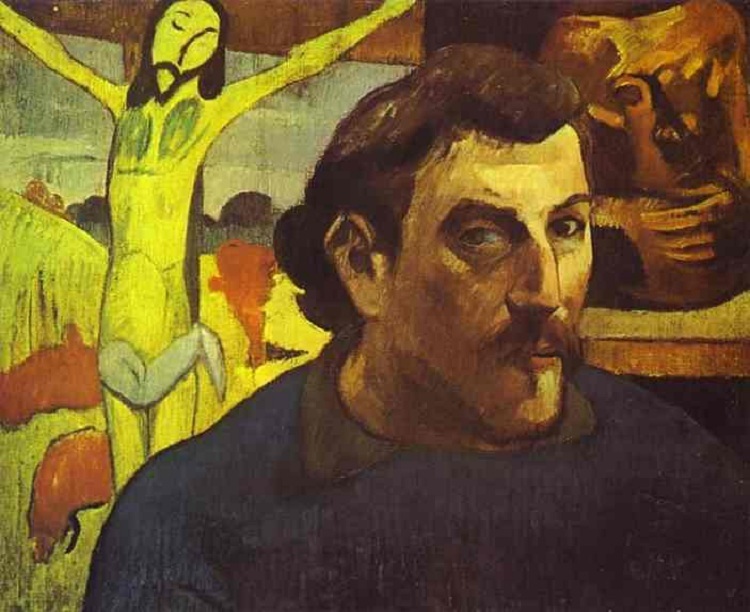 This site takes an in depth look at Gauguin’s life and the impact he has had on the world of art. Gauguin was most famous for creating paintings and painted in many different styles including impressionism and primitivism. Some of his most famous paintings include his Vision After the Sermon, Where Do We Come From? What Are We? Where Are We Going?, The Yellow Christ, The Green Christ, and his self-portraits. However, it is worth noting that he also did wood cuts and engravings. As an artist, Gauguin went through many different stages and looked for inspiration all over the world. In Paris, he became friends and showed with impressionists, painting outdoor scenes and still lifes with thick brushstrokes and soft colors. While in France, he befriended important art figures like Camille Pissarro, Paul Cézanne, Emile Bernard, and Vincent van Gogh. Gauguin and van Gogh would famously live and paint together in Arles, France. During their nine weeks together, the two would paint some of the most important works in art history. Read an overview of Gauguin’s biography or examine the extended biography in three parts. The first part of Gauguin's biography focuses on Gauguin before he became a serious or renowned painter. The second section of the Gauguin biography concentrates on Gauguin's life as he developed his new style. In the last section of the Gauguin biography, Gauguin reaches his mature art style and lives out his life in French Polynesia. Gauguin visited the Caribbean and became interested in the art outside of Paris, from Africa, Japan, and folk art from island cultures. Living in Tahiti, he would enter the most productive phase of his career finding a style and producing paintings that he would be remembered for. He painted the local people in exaggerated proportions with flat colors and bold outlines. This style, primitivism, is where he found his niche. Later artists like Pablo Picasso and Henri Matisse would be directly influenced by these paintings and it can be seen in their work. Begin here to start exploring Paul Gauguin's famous works. "Many excellent cooks are spoilt by going into the arts"